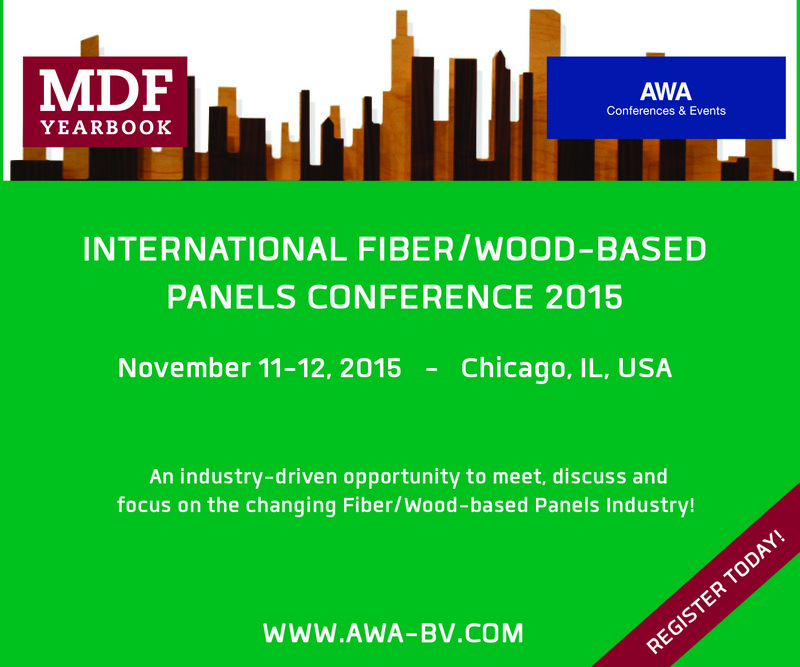 The “INTERNATIONAL FIBER/WOOD-BASED PANELS CONFERENCE 2015” is specifically dedicated to addressing the ‘Fiber/wood-based panels’ industry. The term: “Fiber/wood-based panels” has been chosen to better describe and embrace the variety of non-wood fiber and composite panel materials that are now being produced across an increasing number of sub-continents. The focus will be on Fiberboard and Particleboard (MDF/PB), in its generic, composite and hybrid forms. This conference offers an industry-driven opportunity for business leaders and professionals to meet, discuss and focus on management and business aspects across a changing industry. Delegates will have an excellent opportunity to gain insight into the latest product developments and innovations; markets, business challenges, innovations and futures. Attending this event will also help you to consolidate and expand your international business network with other professionals with a passion for wood! Reasons to Attend: - Learn about the latest updates, innovations and industry insights - Gain awareness of industry challenges and opportunities across the supply & value chains - Meet and interact with other industry professionals - Exchange management ideas and discuss new developments in processes products and sustainable business - One and a half days of presentations, tabletop displays and networking reception - The prime location and timing of the event will draw industry professionals from around the globe Subjects covered in the conference have been carefully chosen to appeal to anyone who is involved with the Fiberboard and Particleboard panels sectors across all disciplines and embracing: Investors, producers, suppliers and end-users. The majority of attendees to this event are expected to be key decision makers within their organization.